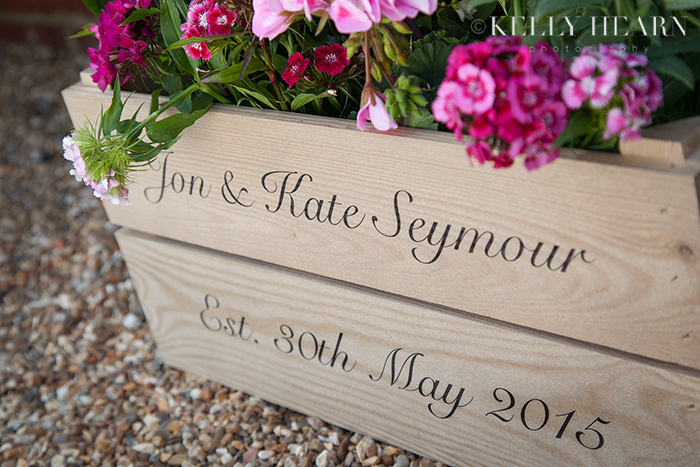 Kate and Jon are a lovely couple from the Midlands who totally knew how to personalise their wedding day, thinking of every detail to reflect their fun-loving relationship and personalities. They managed to showcase their own wonderful taste and style perfectly through all the detailed & thoughtful decor they had selected to display throughout the already beautiful rustic wedding venue. Tying the knot at West Sussex’ gorgeous Southend Barns, Kate and Jon had the perfect spring country setting and were true ‘darling buds of May’, ensuring that their guests were able to indulge in a few English traditions such as croquet on the lawn and cream tea (with champagne, of course)! 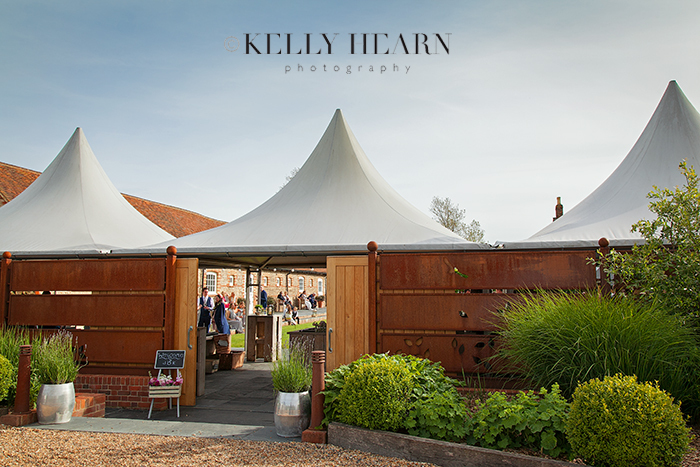 Originally a dairy farm, the stunningly restored venue which has been brought up to date in a modern/rustic style, maintains history whilst still giving hint to the original purpose of the rooms but offering a modern twist. Jon & Kate’s careful consideration of their chosen setting cleverly incorporated little personal touches that blended seamlessly with the existing subtle country theme seen throughout the barns.